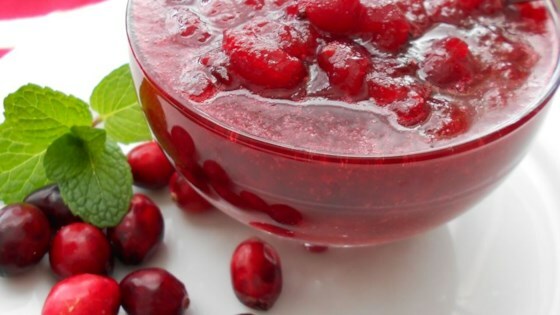 "The tart flavor of cranberries makes a nice complement to any Holiday feast. This is a classic!" Excellent as is without any changes. thanks for this excellent recipe! This reminds me of my grandmother's sauce. I also did half white, half brown sugar and added 1/8 tsp of cinnamon and about 1/2 tsp of grated orange zest. It is easy to make and delicious.